Bovine colostrum, identical in molecular structure to natural human colostrum, contains a vast array of nutrients known to have many health benefits. Produced in the first few days after giving birth, colostrum can be considered the first food of life and, as such, is designed to maintain health, support growth and prevent disease. Colostrum is low in fat, high in carbohydrates, protein and antibodies, and contains all the nutrients that a newborn needs to survive and build a strong immune system. Bovine colostrum delivers nutrients in a very concentrated form and contains many compounds that balance and stabilize the immune system. In addition, colostrum contains growth factors that promote normal cell growth, DNA synthesis, fat utilization and increased mental acuity. Immune factors help boost the immune system by supporting resistance to viruses, bacteria, and fungal pathogens. They aid in increased gut efficiency and nutrient absorption and help keep the GI system healthy by fighting pathogens in the colon. As many diseases have their origins in the gut, a highly functioning immune system and the ability to properly absorb nutrients is key to maintaining health. The onset of most infectious and degenerative diseases is preceded or accompanied by less than optimal immune function. Antibody levels in bovine colostrum have been shown to be as much as 40 times higher than human colostrum levels. As our bodies are under constant threat from bacteria and viruses, maintaining the balance of both harmful and helpful bacteria in the gut is crucial. One of the primary functions of colostrum is immunological balance. Colostrum’s growth factors help to restore or repair a damaged gut lining, which can lead to leaky gut syndrome and contribute to a multitude of illnesses. Proline-rich polypeptides (PRP), immune system modulators that help boost an underactive immune system. PRP supports optimal thymus gland function, aiding in the production of T-cells that fight viruses and antigens. PRP also helps to down-regulate an overactive immune system, a factor in autoimmune illnesses. By inhibiting the overproduction of T-cells and lymphocytes, pain, swelling and inflammation are reduced. Lactoferrin, an iron-binding protein that deprives bacteria of the iron needed to reproduce, releases iron into red blood cells enhancing tissue oxygenation. Cytokines, small proteins secreted by immune cells, are used extensively in cellular communication. Glycoproteins which guide the passage of immune and growth factors ensuring their survival through the highly acidic digestive system. Colostrum’s growth factors promote healing and help to create an anti-aging response. Just as colostrum provides life-supporting immune and growth factors for newborns, medical science shows that adults can also profit from the wide ranging health effects. In newborns, colostrum completes the growth and development of the gut. 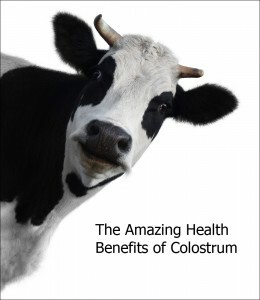 In older children and adults, colostrum helps to support a healthy gut wall. Bovine colostrum is a naturally perfect source of many vitamins, minerals, enzymes and essential and non-essential amino acids and essential fats. Supplementation with colostrum enhances the bioavailability of these nutrients, making them available for muscle cells, vital tissues and organs. ImmunoG PRP by NuMedica contains 100% pure bovine colostrum that is low heat processed to ensure maximum biological activity. Hormone, antibiotic and rBST free. Available in powder, capsule and chewable form. Colostrum – 100% pure New Zealand by Douglas Laboratories from pasture fed cattle raised without hormones, steroids or antibiotics, is produced under the highest standards of the New Zealand government. Available in capsule or powder form. Immuno PRP Spray by NuMedica is a bovine colostrum based natural immune balancing spray with PRP’s for modulation of normal immune responses. Colostrum 40% IgG by Pure Encapsulations provides pure colostrum derived from hormone, pesticide and antibiotic free herds.